Srinagar, Jan 21 (KNS): While expressing serious concern over the precarious power situation in Kashmir valley, CPI (M) leader and MLA Kulgam Mohammad Yousuf Tarigami Monday said governments come and go, but the electricity woes continue unabated. “We have enough water resources and despite tall claims by the politicians and the rulers of the time about solving issues, they have not been able to settle this small issue for decades. 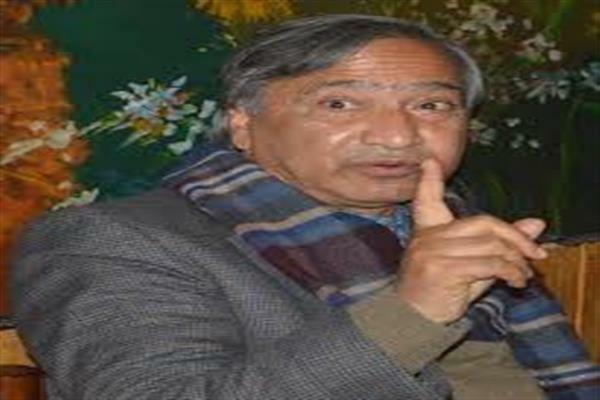 During summers, due to power woes people in Jammu suffer and in winters people in Kashmir valley have to bear the brunt of power crisis,” Tarigami said. “No power schedule is being followed on ground and even metered areas are facing long and unscheduled power cuts much to the annoyance of public. People living in rural and far flung areas are without electricity and the recent snowfall has aggravated the crisis. People living in rural areas are compelled to arrange for alternate sources of illumination since they are facing worst power crisis. While the people in cities and towns had to face low voltage and erratic power supply, people living in rural and far-flung areas were left without electricity. Even electricity supplied is not sufficient to charge mobile phones and laptops,” Tarigami added.